Solving the world’s air pollution problems is not going to be easy. Ninety-eight percent of cities in low- and middle-income countries with more than 100,000 inhabitants do not meet World Health Organization air quality guidelines for PM2.5. In total, 95 percent of the world’s population live in places with unsafe air. While many of the policy levers and investment decisions required to create cleaner air are beyond cities’ reach, municipal leaders and residents are not powerless. Consumption, energy, waste management and transport choices all matter in big urban centers. Cities can also be powerful political voices for change in national and regional policies. They are well positioned to be leaders and stewards for the “airsheds” – the areas where pollution tends to be mix – around them. In April 2018, OpenAQ, WRI Ross Center and WRI’s Governance Center, in its role as secretariat of The Access Initiative, hosted a workshop with 15 civil society experts from around the globe who have implemented successful strategies in the fight for clean air. The group explored the range of actions and tactics being used to address air pollution and started to unpack some of the key drivers of successful work. Experts working to address air pollution and its impacts span multiple disciplines, including energy, transport, agriculture, climate change and public health. Addressing air pollution therefore requires a diverse set of policy, legal, scientific and technical strategies. But too often air quality experts operate alone in their sectoral silos. Cities, nations and regions have much to gain from mainstreaming air quality as a goal for infrastructure investment and urban planning. We also have much to gain from thinking past administrative boundaries to produce airshed-level results. City investments in emissions reductions in surrounding areas, for example, could also be a cost-effective way for large cities to clean up air at a territorial scale. Air quality advocates are using a variety of innovative strategies to address pollution, including social media campaigns, public art, strategic litigation, leveraging new sources of data and fostering multi-stakeholder coalitions for action. Amidst this creativity, deeper evaluation of what works to drive effective action is important. More attention to the ways that successful efforts to galvanize sustained, integrated action can be adapted and scaled will result in new insights leaders can apply to different city and political contexts. Pollution mitigation proposals often focus on the most visible or politically expedient sources of air pollution and don’t address the multifaceted drivers of the problem. They may also overlook the indirect effects of some policies – pollution sources that move, for example, after being regulated in one place. This often leads to unintended problems, like shifting air pollution problems from mega-cities to smaller cities, or from one country to another. Addressing unintended consequences and cleaning up pollution for all, not just some, requires development and implementation of systemic policies and practices that holistically address air pollution’s wide range of environmental, health and socioeconomic impacts. Access to reliable, timely, understandable data is still a significant challenge, especially at the municipal and subnational level. Air pollution action should be grounded in good science. Sensors, source identification and data innovations should be tailored to the technical, institutional and political barriers across different regulatory levels and geographies. 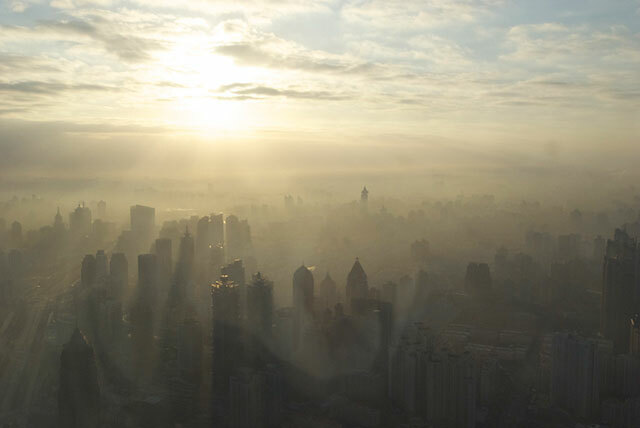 At the same time, the air quality community must develop a deeper understanding of the data needs for different purposes – creating awareness, making policy choices, enhancing accountability and regulatory enforcement all require different levels of accuracy, spatial and temporal specificity, and auditability. Data legitimacy is also important for ensuring impact. Data must not only be scientifically credible, but recognized as unbiased, accurate and precise by stakeholders such as regulators, regulated groups, policymakers and courts. Solving air pollution requires continued efforts to bring scientific evidence and explanations into mainstream public discourse. Translating technical data into forms that can be understood and used by a diverse range of non-technical stakeholders, including local community members, journalists, judges and city officials, will be essential if the goal is to align the efforts of different stakeholders toward a shared, effective, lasting solution. Ambient air is a complex cocktail of local and far-flung sources interacting with one other. Reducing emissions in one place hardly matters if neighbors do not follow suit. Controlling emissions or changing to new technologies is expensive and the costs and benefits aren’t distributed equally. Sustained solutions require political stamina, and the politics of clean air are full of disputes over source attribution – who is at fault and who needs to act. The political complexity creates substantial friction, but pressure to break through the obstacles is rising. City leaders, from Paris to Bogotá, Bangalore to São Paulo, are calling for more action to reduce pollution. And they are looking for new ideas and support. Elizabeth Moses is an Associate with the WRI Governance Center’s Environmental Democracy Practice. Jessica Seddon is Director of Integrated Urban Strategy at WRI Ross Center for Sustainable Cities.